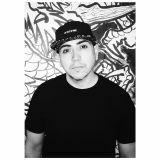 Hailing from the landscapes of Central Florida, DJ/Producer Stilo Mancia has been hitting the ground running since he&apos;s been spinning his own brand of multi-genre EDM styles; including Tribal House, Jungle Terror, and Moombahton. Not long after learning the dynamics of DJing methods, Stilo began manifesting into a lucrative artist and eventually expanded his horizons by opening the doors with his own record label, Bang The Culture Records. He releases a weekly Podcast (titled Bang The Culture Radio), and so far has captivated listeners from all over his scene and his surroundings.